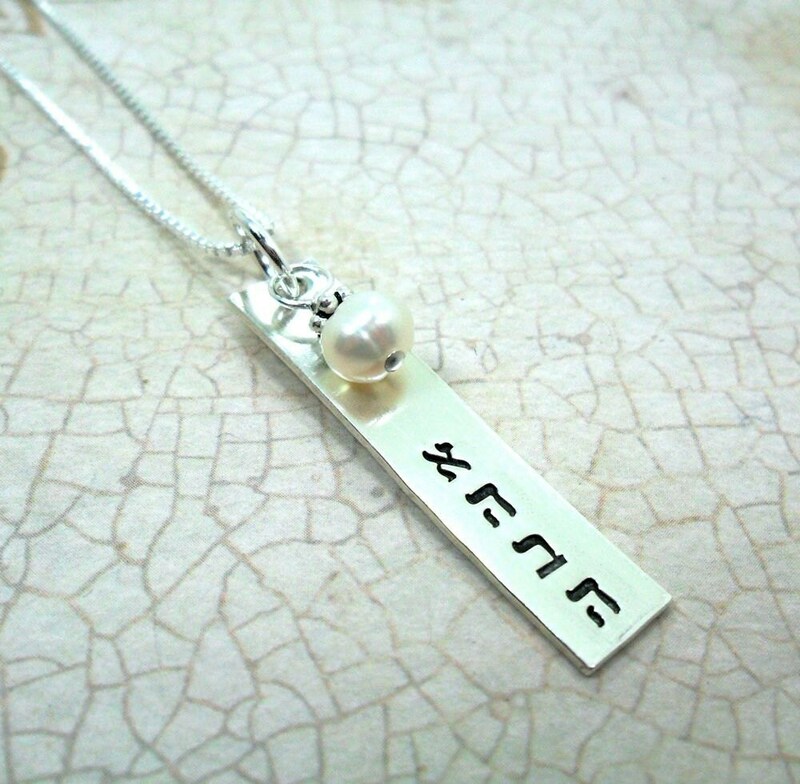 A beautiful sterling silver bar pendant has been hand stamped in Hebrew with the word "Ahava," meaning "Love." A small freshwater pearl with Bali silver bead topper accents this lovely piece. 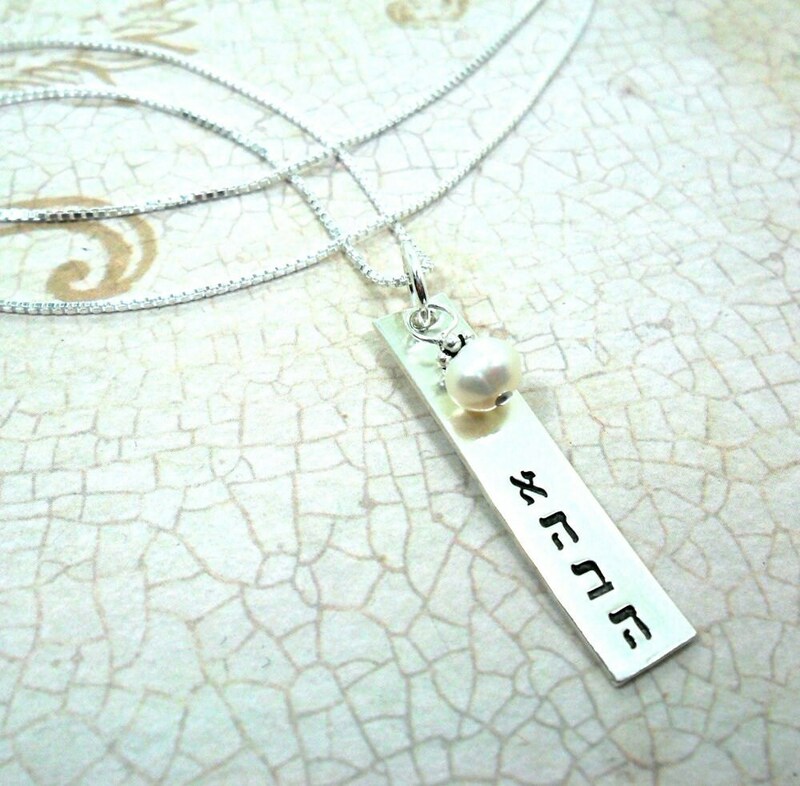 This necklace would make the perfect Bat Mitzvah, birthday or Hanukkah gift! Necklace will arrive with your choice of 16", 18" or 20" sterling silver box chain. Please specify your preferred chain length in the "note to seller" at purchase. Love this necklace but looking to have another word or name stamped? Just convo me! 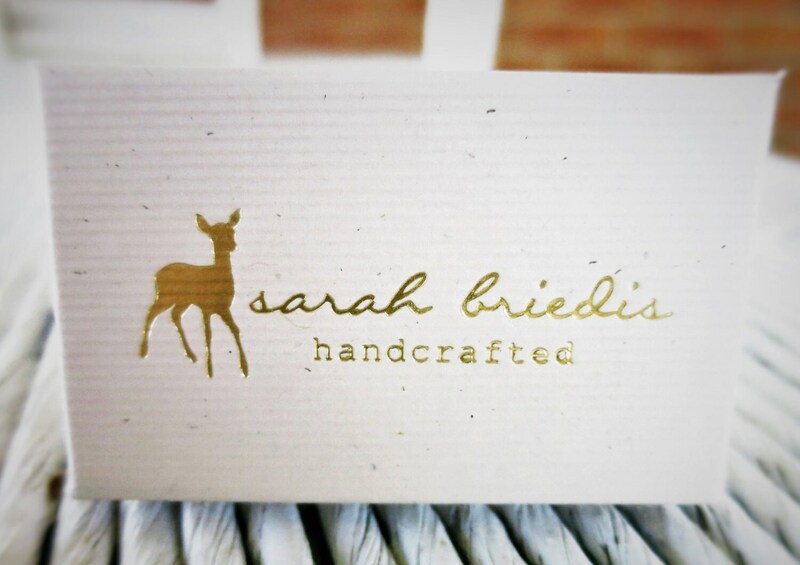 Domestic shipping price includes USPS First Class with Delivery Confirmation & Insurance.